Close to my heart! I love this piece from Alei Shur. On the Main Line: The great Wives and Wigs controversy of 1890. 1. Reads as if it was an ongoing conversation on Rabbi Broyde's controversial article. 120 years later, and we're still in the place. Yesh dorshin l'shevach, yesh dorshin l'genai! 2. I am very impressed with Imber's scholarship! This story will mean nothing to people who are unaware of who Reb Mottel was. To those people who know something of him, and of his awesome gadlus in Torah and Yiras Shamayim and Ahavas Chesed and Mussar, it will mean a great deal about shleimus in the tradition of Rava and Reb Yirmiah. It means a great deal indeed. Not going quite as far back, it is in the tradition of RAEK and the other giants of that brief golden age. Why did we have to be born so late?! is already divided into portions by weeks of the year. Reb Shamshon states that there is a wonderful secret to this concept. It does not mean that the Mishnah is missing some essential words that should have been there. For why would R' Yehuda HaNasi not made sure to include them in the first place? He includes in this secret the Gemara's occasional statement הך תנא ברישא וחזר בו ומשנה לא זזה ממקומה. 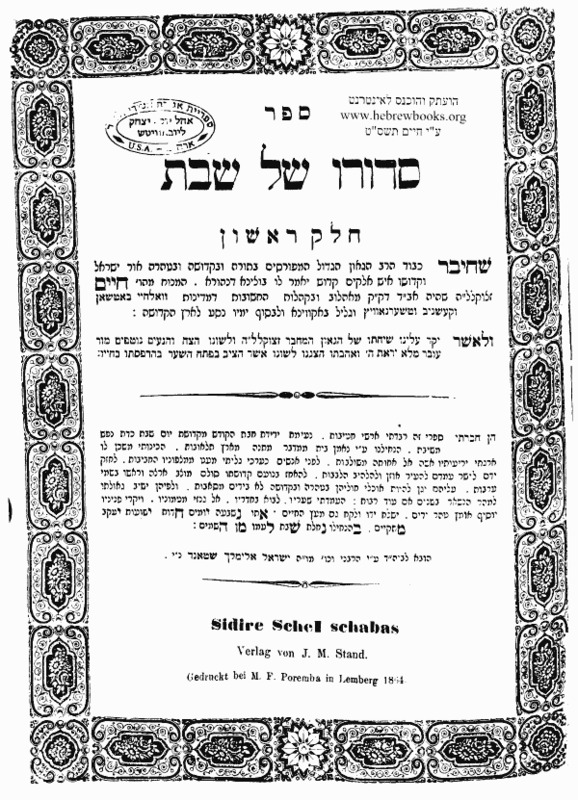 Why didn't R' Yehuda HaNasi remove the original Mishnah from Shas? Reb Shamshon explains that all Mishnayos are really Sheimos HaKodesh. That is why R' Yehuda HaNasi was limited in his options by the tzirufei sheimos. The example he gives is from the Mishnah in Shabbos 106b ישב השני ומלאוה השני חייב - the Shem Hashem in the rashei teivos. Thus, he says, the meaning of חסורי מחסרא והכי קתני: Even though it seems to be חסורי מחסרא, nevertheless, הכי קתני - this is the way it had to be written, on account of the tzirufei sheimos. The 120 "hidden" passages are gems, fashioned by an expert craftsman - that you should not think that they are missing "by accident" - but by deliberate plan.